JAMESTOWN – City fire fighters were busier earlier Friday after responding to a fire at 281 Willard Street Friday. 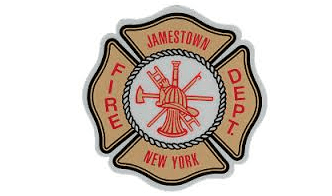 According to the Post-Journal, members of the Jamestown Fire Department were called to the house fire at 281 Willard St. at approximately 2:22 p.m. Friday. The sole occupant of the house was injured although no details were given regarding how severe the injuries were. There was also an unknown number of cats living in the home. Fifteen off-duty firefighters from Jamestown were called into assist along with mutual aid from Lakewood and Falconer. Combustible items left near a space heater has been cited as the cause.